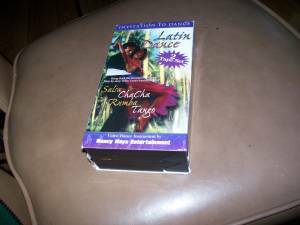 Salsa , chacha, Rumba, Tango instructions - Nacy Hays entertainment- two tape set 90 minimum. VHS 2001 Can mail if send money by paypal. Respond with phone, I will not return emails as I get too much spam. Sorry. I will delete when no longer available.